If I ruled the world, authors would be forced to attend Grammar Boot Camp, where they would learn that just because spell-check doesn't flag a word, that doesn't mean it works in that sentence.Publishers who scant on proofreaders would be shot on sight. Very good. I enjoyed the different mythology behind werewolves. Different and that's good. I will have to read this series (yet more books to the TBR pile!). It's sad that the author is no longer with us. 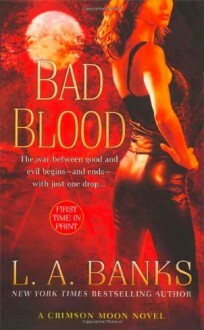 3.5, I would have rated it much higher if I hadn't had such a hard time reading the author's writing. She got bogged down with sentences like, "and silence sat down and joined them at the table.". I really love the story and the characters, that's why I keep reading!! !